Tic Tac Toe is a game I used to play, when I was little I used to say…it’s not often I get to make a random Kyper reference in an Android review, and it’s not often you get to play Tic Tac Toe with Tanks. 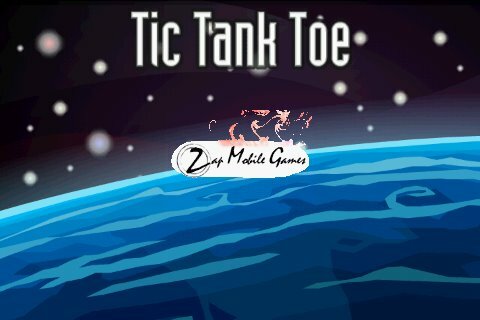 I guess there’s a first time for everything as there’s a cool new game out called Tic Tank Toe from Zap Mobile Games. Yes, you get to play with tanks, and it’s quite a bit of fun… You’re given a board and two different types of tanks for each player; to move the tank simply touch the tank then the cell you want to move to. Once you’ve placed the Tank on the board you’ll choose its orientation through the arrows on the screen, and when the center of the screen is filled you’ll get to use the rest of the board. When you connect 3 tanks in a line you’ll receive 3 points, but that’s basically where the similarities to Tic Tac Toe ends. When the board is filled, Phase 2 begins and so does the fun. When attack mode starts you’ll click on a tank, then on the one you want to destroy. Some tanks can be moved, while others shoot back before being destroyed. You can only fire in the direction you’re facing so placement is key in the first phase of the game. You’ll get a point for every tank you destroy, and those points coupled with any points you’ve earned from placing the tanks in rows is added up to see who wins. 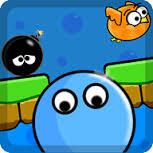 Tic Tac Tank has 3 levels of difficutly, a tutorial level, and you can play vs. a computer opponent or with a friend through pass-and-play. Tic Tank Toe is a simple game, but a fun one nonetheless. It does involve quite a bit of strategy especially when the ability to rotate tanks in the attack phase comes in to play. The graphics fit the game well, and depth of play is there as you’re probably never going to play the exact same setup twice. The free version lets you use two tanks while the paid version runs $1.12 and gives you two more tanks along with four different backgrounds each with their own music. I was pleasantly surprised by Tic Tank Toe and I think you will be too. You can grab Tic Tank Toe in the Android market for free.